Hawthorne is a gated, deed restricted community located between Three Oaks Parkway and Old US 41 Road. It is across the street from Paloma and just south of Bonita Lakes. Hawthorne consists of 307 single family homes and 156 condominiums. The community of Hawthorne was started by Centex homes and completed by Lennar Homes. It is currently sold out of new product. There are only resale homes and condos for sale going forward within the community. Single family homes range in size from two to four bedrooms plus a den. Single family homes may have a private swimming pool or have one installed at a later date. Condominiums in Hawthorne are two story buildings. Units are either on the ground floor or the second floor. Each unit in Hawthorne Condos has a two car, attached garage and private, interior laundry rooms. There are no elevators in Hawthorn Condos. 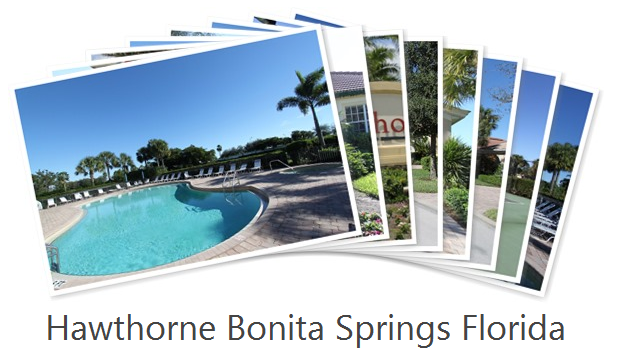 Hawthorne has easy access to Three Oaks Parkway so it is only minutes away from many conveniences such as Coconut Point, Miromar Outlets, FGCU and the International Airport. For more information about Hawthorne call or text Chris Griffith 239-273-7430.